Hi everyone! 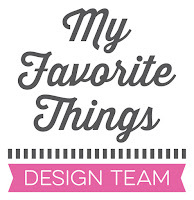 I have a new card to share with you. It’s a birth card for a little boy. I went for a CAS scene and used different elements. I like the rainbow combo. It works well for a birth card too. 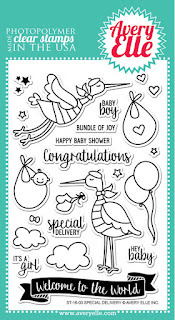 The stork, the bundle and the sentiment are from the Special Delivery stamp set from Avery Elle. For the background, I used the Stitched Cloud Backdrop Portrait die from Lawn Fawn combined with Sno Cone cardstock from MFT. This is the Special Delivery set from Avery Elle. The storks are SO cute and perfect to welcome a baby! What a sweet card - and beautifully coloured (as always). The Stitched Cloud Backdrop is perfect for this "special delivery" card. 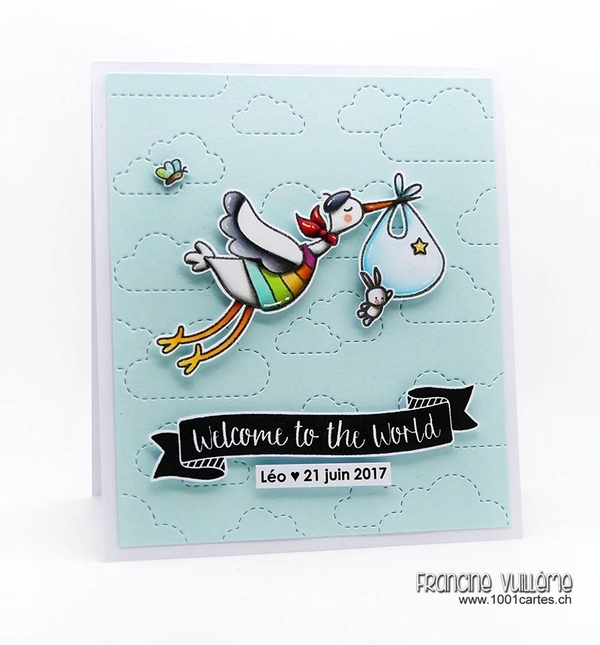 Such a darling baby card, Francine! 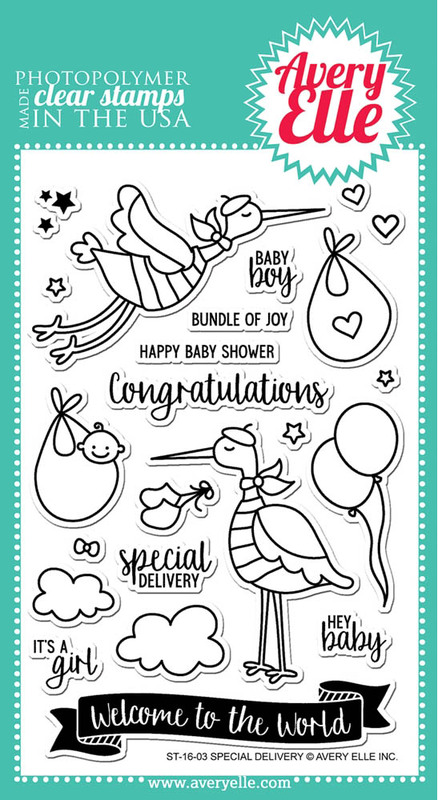 I love how you colored the stork's shirt in rainbow colors and your stitched cloud background is fabulous! Love your B&W banner, too!